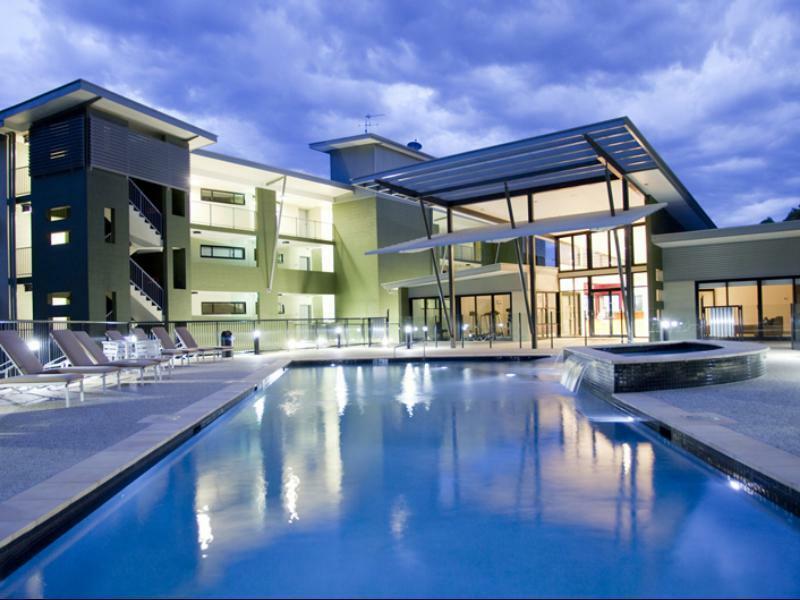 يشكل Ramada Resort Coffs Harbour بموقعه الممتاز في المدينة نقطة انطلاق جيدة لاستكشاف أفضل ما فيها من معالم ومناطق نابضة بالحياة. يقع مركز المدينة على بعد 5 km فقط. ويمكن الوصول إلى المطار خلال 13 دقيقة. سوف يعشق النزلاء موقع هذا الفندق، فهو قريب من أهم المعالم السياحية في المدينة . يقدم Ramada Resort Coffs Harbour خدمات لا غبار عليها وكل أشكال اللياقة وحسن الضيافة اللازمة لإسعاد ضيوفه. يقدم العقار مرافق مخصصة لذوي الاحتياجات الخاصة, تخزين الأمتعة, صف السيارات, مرافق للشواء, تأجير سيارات لضمان الراحة القصوى لضيوفه. لقد جهزت هذه الإقامة الفندقية بعناية فائقة لتوفر مستوى عالي من الراحة. في بعض الغرف يجد النزيل تلفزيون بشاشة مسطحة, غرف لغير المدخنين, مكيف هواء, شرفة/ تراس, ساعة منبه. يقدم الفندق مجموعة رائعة من الخدمات كمثل مركز للياقة البدنية, ملعب جولف (ضمن العقار), حمام سباحة خارجي, سبا, تدليك، لجعل إقامتك تجربة لا تنسى. 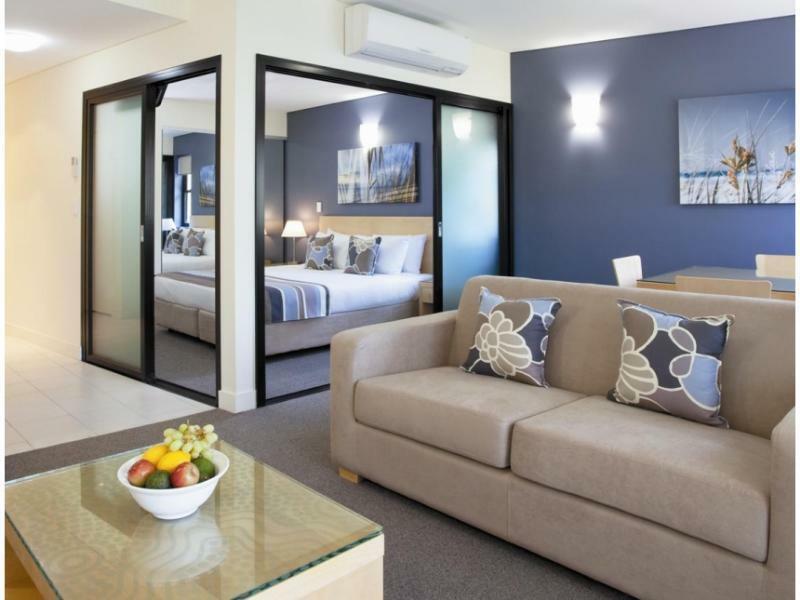 إن Ramada Resort Coffs Harbour هو خيارك لخدمة الفنادق الراقية في المدينة. The resort is fine, the rooms are clean, spacious and well equipped. The pool is good but when we stayed the hot tub was out of order. The staff were helpful and polite. We dined on the resort as the resort is a bit far away from other restaurants. The food was excellent. There wasn’t an on site store for food so best to remember to call at a local supermarket before arrival. There’s a fridge freezer, washer and tumble drier in the suite. I have stayed a lot of places over the years and I am incredibly fussy about cleanliness. Ramada was absolutely 100./. Clean and felt nice and fresh and met my EXTREMLY high standards. Absolutely will return in the next school holidays. Also the luggage trolleys, although a minor thing, is an amazing convenience and I was very greatful to be able to push all the kids things and not have to lug them. Private and felt like we had all the privacy in the world. Also disabled parking nice and close to lower levels and disabled access all the way which was a relief as I was travelling with 3 children one who is unable to traverse stairs. Just everything I need with all the privacy and quality we needed close to town. Two bedroom apartment with very comfy beds, great ensuite, laundry, etc that provided everything we needed for our weeklong stay. Teenagers were happy, local wildlife abounds, pool and amenities suited our needs and the bush walks were great. An easy drive to town centre, everything is within a 10 minute drive. Can’t fault the staff - extremely helpful and happy to give dining/sight seeing tips. We only went for a concert however now view Coffs as a great holiday location... previously we just drove through enroute to elsewhere. Highly recommended. Had a great stay, though when I booked I thought the view shown was what we would get. We had a viewof the car park only. Was a little disappointed with this, though the complex itself was great. Location - short drive to beach and supermarkets. Facilities in resort are dated, including those in Novotel whereby guests can use too. Free Wifi not given, Wifi for smart TV not working but fixed the next day. Mobile data cover is bad. Beds are comfortable and fully equipped kitchen is a plus. Facilities. Staff friendliness. Room layout. The Soaps, The room layout, how new & fresh it seemed. Great Reception and Booking Staffs. Good Location. stayed overnight only with two young children. the accommodation was good...average but good. the decor is very bland. at night, it's very noisy with the band playing loud so this would be good for young couples....not really suitable with babies and toddlers. i had a great time here. the staff are really friendly nad you get the benefit of being on a large property. the rooms aren't as nice as in the pictures but are still new. The place is not as grand and majestic as the photos lead you to believe, but the staff members are friendly and helpful. You have access to other facilities and the general property is nice. 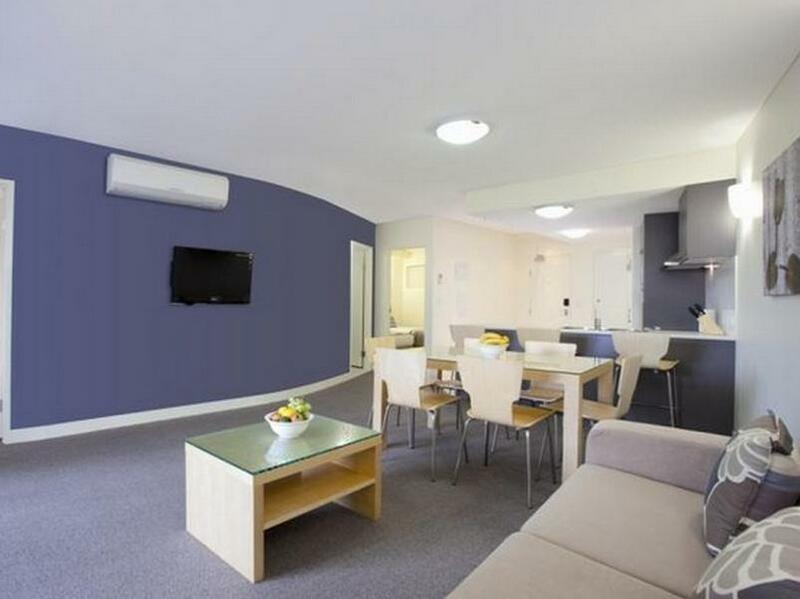 You are better off looking for a house to rent as there are some really nice places in coffs. Nous avons passé deux nuits dans cet appartement; ce n'est pas à proprement parler un hotel mais une résidence de vacances dont certains appartements sont loués à des visiteurs de passage. l'ambiance est donc plutôt celle d'un club de vacances que celle d'un hotel. L'appartement était très vaste très bien équipé, notamment pour cuisiner. L'accueil était très professionnel. mais le site est éloigné du centre ville ( difficile de trouver ) et donc des commerces. mais en lisière de forêt et à 150 mètres d'une belle petite plage et des sentiers qui longent le littoral. Très belles balades au départ de l'hotel.